VanLife Crisis: Measure twice? More like 20.. 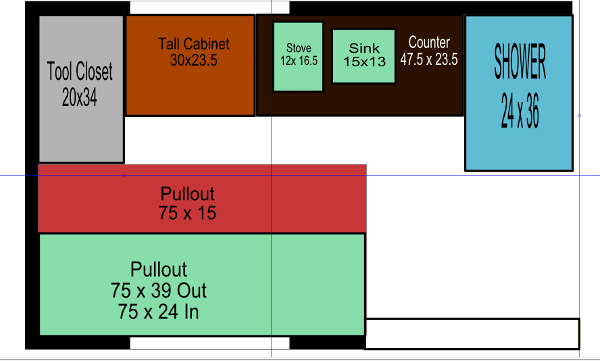 Looking at my plans for the van layout, after relocating the bed it's quite apparent that the van is thinner than I believed it was. It's not a huge deal especially since my bed folds up but I'll have to make some adjustments like my cabinets are probably going to be smaller. Not quite sure where I got the measurements from, I might have just taken them off line which could have meant they were from a different model van. Or maybe I'm just looking at different parts of the van because it's curved. I think given the nature of a van its just going to be easier to use cardboard templates than measuring.